The Firm is pleased to announce our newest location in the Geary Law Building in beautiful Downtown Stuart at 27 SE Ocean Blvd. 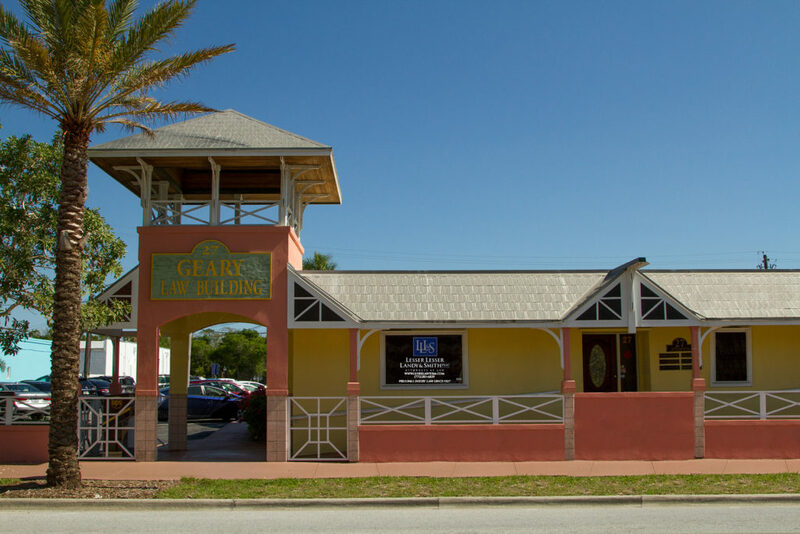 We have relocated our Treasure Coast office right across the street from the Martin County Courthouse after many years in our previous Martin County office location. Lesser, Lesser, Landy & Smith has been representing our injured clients and their families for over 91 years across the State of Florida. We have been representing clients and their families who have suffered serious injury or the loss of a loved one due to the negligence of another, and the firm has experienced great growth in Martin County. Our experienced attorneys offer personal service for your case, guiding you through the process from beginning to end. We are here to fight insurance companies and make sure they pay what is fairly owed to you and your family.